1 What is Multiple Sclerosis? 1.2 Who Gets Multiple Sclerosis? Multiple sclerosis (MS) is a condition that affects the brain and spinal cord. 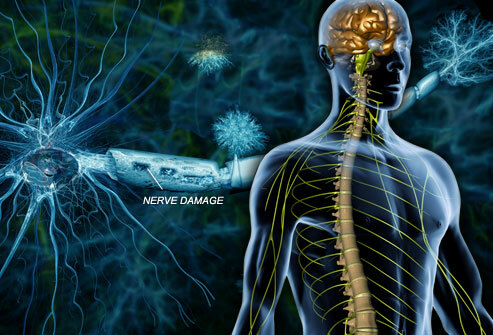 In MS, the central nervous system is injured due to damage to a protective sheath that surrounds the nerves. This sheath, also referred to as myelin, covers the fibers of the nerves. In MS, this sheath is attacked by the immune system, which makes communication between the brain and the body difficult. Additionally, MS causes nerves to deteriorate or become permanently damaged. Treatment for MS is determined by a doctor with expertise in diagnosing nervous system diseases. The course of this disease is quite unpredictable. Most cases have short periods where they experience MS symptoms followed by long periods of relief. The result may be partial or full recovery. When one is diagnosed with MS, there is no way to determine or predict how the treatment will go and whether or not it will lead to full or partial recovery. Additionally, it is not known as to why some people develop this condition and others don’t. Perhaps this is the main reason as to why there is currently no cure. 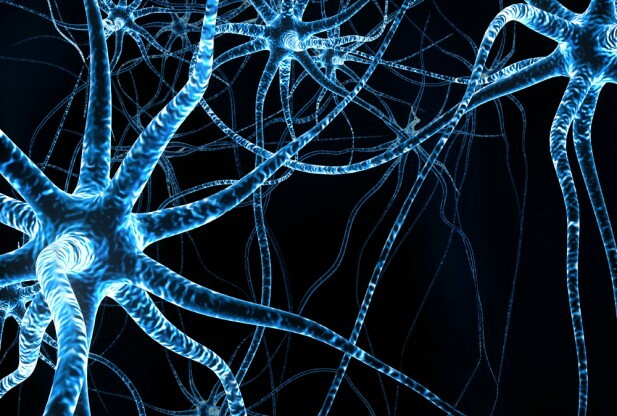 Researchers have discovered that MS can also damage the nerve cells that lie in the brain’s gray matter. Additionally, it can damage the nerve axons, the spinal cord, and the optic nerve. The optic nerve is the one that transmits visual information to the brain from the eyes. As the disease progresses, cortical atrophy can occur, which is a term used to describe shrinking of the brain. MS is characterized by areas of scar tissue in the brain. These areas are known as sclerosis, lesions, or plaques, and are visible in the white brain matter of those with MS. Sclerosis can be small or large in size, reaching the maximum size of a golf ball. Plaques appear as a result of inflammation in the brain. When the immune system cells attack the myelin sheath, it leads to the development of plaques while also damaging the nerve axons. In healthy individuals, the immune system cells patrol the body for unhealthy cells or infectious agents, such as viruses. When the immune system recognize such agents or viruses, they start producing substances that are designed to stop the infectious agent. After the discovery of unhealthy cells, these ‘surveillance’ cells kill or clean out the dying area, and substances are produced that repair and heal the remaining cells. These surveillance cells act differently in those with MS. The cells are still active, but they start to attack the healthy myelin that surround the nerve cells. The reason behind this is still unknown. MS is known as an autoimmune disorder, like lupus and rheumatoid arthritis. In autoimmune disorders, the immune system attacks healthy tissues by mistake and it can damaged or destroyed. The symptoms of MS depend on the severity of the immune system response, the location of the plaques, and the extent of the plaques. These lesions primarily appear in the spinal cord, cerebellum, brain stem, optic nerves, and the white matter located around the brain’s ventricles. Age as a risk factor. MS most commonly develops in young adults, specifically those age 20 to 40 years. However, MS can also affect older people and even children, therefore no age is immune. Prevalence of MS. The exact number of people with MS is not known. Experts estimate that approximately 250,000 to 350,000 people have MS in the United States. Approximately 200 new cases are being diagnosed weekly. Men or women. As is the case with most autoimmune disorders, women are twice as likely to suffer from MS than men. Geography plays a role. When it comes to geography, those of Northern European descent are at the greatest risk for developing MS. Native Americans and Asian Americans are at less of a risk. MS can be inherited. Many studies show that those who have relatives with MS are at a higher risk of developing the disease than those who do not. About 15% of those being diagnosed with this disease are estimated to have inherited it from a relative. However, the risk is still low, as even identical twins have a 1 in 3 chance of both sharing the same disease. Relapsing-remitting MS. For the majority of those with MS, symptoms are experienced as attacks followed by partial or full recover. After the first attack, it is not clearly defined when the second one will occur. It can be weeks, months, or even years. Primary-progressive MS. Another type is primary-progressive MS. This is characterized by physical decline that is gradual, with lack of remissions. The individual can still have temporary relief from symptoms, however. Primary-progressive MS has a later onset and typically occurs after the age of 40. Men and women have equal chances of developing this type of MS.
Secondary-progressive MS. This type of MS starts with a relapsing-remitting course and later moves to a primary-progressive course. People with severe relapsing-remitting MS symptoms can develop secondary-progressive MS, especially if they are not treated properly. Marburg Variant of MS. Also referred to malignant MS, this variant is quite rare and unusual. When one suffers from malignant MS, they typically experiences a quick decline in function that can lead to death or significant disability. Balo’s Concentric Sclerosis. This type of MS causes concentric rings of demyelination. Luckily, these can be seen on an MRI. Balo’s Concentric Sclerosis is a rapidly progressing disease. It is a rare and unusual MS variation. Exacerbation is an attack of MS, commonly referred to as a relapse or a flare-up. It is accompanied by the sudden worsening of symptoms or appearance of new symptoms. MS attacks are considered to be associated with newly damaged brain areas and are characteristic of relapsing-remitting MS. Attacks are usually followed by periods of partial or full recovery, without any apparent symptom worsening. An exacerbation can be mild or severe. In cases of severe exacerbations, symptoms can significantly interfere with daily activities and overall function. Attacks can last from several days to several weeks, but sometimes they can last for months. When symptoms subside, the patient is considered to be in remission. This can be misleading because, even though patients do not experience symptoms, lesions of MS still persist. It is not uncommon that a patient fails to perceive any symptoms of MS. Research has suggested that only 1 out of 10 lesions are perceived in general. This is why MRI is used to establish the diagnosis and decide on the treatment. Even if a person feels better, MRI should be used to determine whether the treatment is really effective or not. The cause of this disease has not been identified just yet, but there is great progress in MS research, including treatment development. Treatment is particularly aimed towards preventing exacerbations of the disorder. Many researchers are working on discovering new avenues for therapeutics, including protective drugs for the myelin cells, or drugs that can help myelin cells recover after an attack. Additionally, there are various newly developed treatments that are successful in preventing the formation of new lesions. Several studies have shown that destroying the immune system with chemotherapy and then replacing it with immune system stem cells obtained from the patient’s own blood can halt development of new MS lesions. This treatment appears to reset the immune system so that it no longer attacks the brain. This strategy is being tested in clinical trials. Other studies are investigating whether transplanting stem cells derived from bone marrow, called mesenchymal stem cells, may be helpful in MS. Researchers are constantly trying to find new ways to prevent the progression of this disease. They are investigating the symptoms that do not respond to the treatments approved by FDA and trying to determine whether this is caused by problems with the neuronal cells’ producing parts. The fact is, many people are working hard to find a cure or advanced treatment for this disease. Even though the cause of MS has not yet been discovered, successful treatment may be just around the corner. Results from research are improving daily and clinical trials are being performed in order to determine how to help people suffering from MS.